Doctor Jennifer L. Parish graduated from the University of Pennsylvania with an AB. She received her MD from Jefferson Medical College of Thomas Jefferson University, where she was a member of the Hobart Amory Honor Society. After interning at Rush-Presbyterian-St. Luke’s Medical Center in Chicago, she did her dermatology training at Tulane University School of Medicine in New Orleans, where she served as Chief Resident. 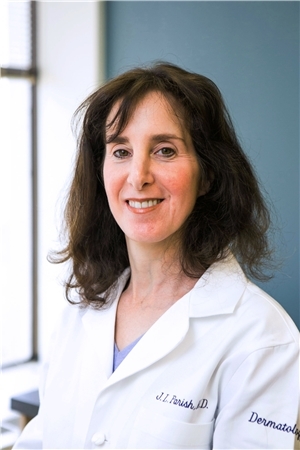 Doctor Parish is currently Assistant Clinical Professor of Dermatology and Cutaneous Biology at Sidney Kimmel Medical College at Thomas Jefferson University and Assistant Professor of Dermatology at Tulane University School of Medicine. She is Past Chairman of the Section on Dermatology of the College of Physicians of Philadelphia and on the Board of Directors of the International Academy of Cosmetic Dermatology. She has lectured both nationally and internationally.